On my other blog The Door is Ajar, I recently reviewed a book by Joe Fiorito, Rust is a Form of Fire (you can read my post in its entirety here). In his introduction to the book, Fiorito acknowledges the influence of George Perec and his book An Attempt at Exhausting a Place in Paris (1974), as well as a literary movement Perec was a part of: Ouvroir de Littérature Potentielle (usually known as OuLiPo). OuLiPo – which I had never heard of until reading Fiorito’s book – encouraged writers to see “potential literature” everywhere, and used what I’d consider restrictive writing exercises to create new, bold works (sometimes out of old ones). Consider N+7. This was a way to alter existing text by replacing every noun (N) in a work with whatever noun followed the original seven (7) entries later in the dictionary. Another procrastination tool or super good fun? Maybe both! I don’t believe in writer’s block, but if you do (and you’re suffering from it), this might be the way to get the words flowing again…. At any rate, mulling over the possibilities of N+7 got me thinking about dictionaries, mostly about how no one really seems to have a print copy of them anymore. If you need to look up the definition and usage of a word, you just plug it into whatever word processing software or search engine you regularly use and in a microsecond, you have it right there in your face. You don’t even really need to know how to spell the word – there are so many ways to retrieve it even if you come up with merely a close approximation. We have print dictionaries at the library, but they are circulating less and less, and the beautiful hefty reference copies are rarely taken from the shelf. I love print dictionaries and have a few at home; although a search engine is way more efficient, sometimes it’s just plain pleasant to turn the pages of the print copies and pore through the entries. So, with dictionary in hand, here is an excerpt from my book review of Fiorito’s Rust is a Form of Fire – the original is first, followed by the N+7 version. Please note that I am using N+7 without taking into account proper nouns and pronouns. Over the course of three days, he spent several hours sitting near the intersection of Victoria and Queen in the bustling metropolis, and recorded all of his observations of the scenes around him: snippets of conversations, what people were wearing, what they were drinking or eating, what the temperature was, interesting features about buildings around him…you name it. Over the court card of three daydreams, he spent several house arrests sitting near the intertrigo of Victoria and Queen in the bustling mew, and recorded all of his obstacles of the scent-bags around him: snoods of conversions, what pepperboxes were wearing, what they were drinking or eating, what the temple was, interesting federations about bulbuls around him…you name it. Potential literature? Perhaps – I did learn a few new words in the process! And I must apologize for my juvenile sense of humour, but the “obstacles of the scent-bags” makes me giggle. Might be the title of my next short story…. Do you still use a print dictionary? Do you use writing exercises to inspire new work? This entry was posted in Writing and tagged Blogging, Dictionary, George Perec, Joe Fiorito, Literature, N+7, OuLiPo, Ouvroir de Litterature Potentielle, Potential literature, Print books, Rust is a Form of Fire, Writer's block, Writing exercises. Bookmark the permalink. 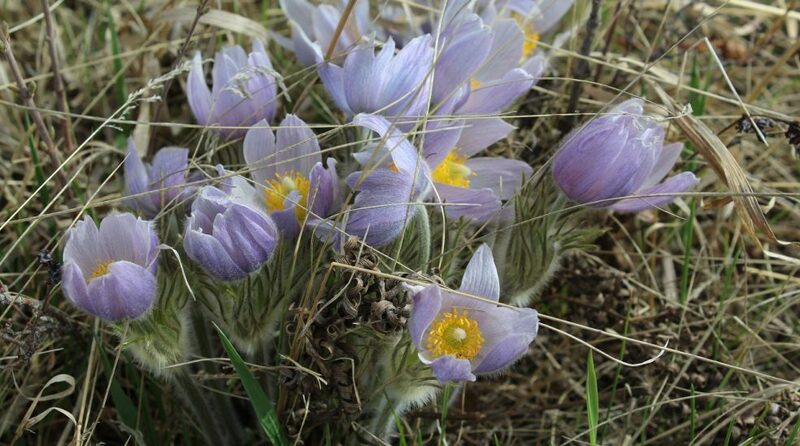 ← Alberta snapshot: Glenbow Ranch Provincial Park. I am an old-fashioned girl and I still use a print dictionary in preference to anything on line. N+7 is a laugh – I liked the obstacles of scent-bags too but was also intrigued by ‘snoods of conversions’! It generated some interesting/hilarious word combinations, didn’t it? And it would differ depending on the dictionary used…. I have a big fat dictionary from the 1940s. It helps with my creative writing a great deal. I would never give it up. Great post! Ah, that’s a treasure, for sure! I still have several print dictionaries and use them when reading printed books. Alas, not so many of them lately. I love writing exercises; when I can fit them in. I love that you use print dictionaries while reading printed books – it’s a good learning experience and enhances the reading. I think a lot of us tend to gloss over words we don’t understand and then forget to look them up afterwards…it’s better to stop and check them right away. What a fun post, Sheryl. I still have a couple of bound dictionaries, but must confess that I use the web now when looking for a synonym or the correct spelling of a word I’m struggling to get right. I used to love thumbing through dictionaries. What wonderful books. It’s definitely easier and faster to use an online dictionary and/or thesaurus. At least we’re using them in some form! 🙂 I keep seeing so many spelling errors on signs and in the newspapers…. I see those errors as well. Poor spelling and poor editing. And yes, I always look up words, and cringe when I’ve misused one after the fact. I’m famous for interchanging there with their or using it’s when its is called for. I know at some level, but my typing fingers get me in trouble. I repeat in my head: It’s an itchy dog scratching its fleas. The dictionary has almost passed from our lexicon as has the “yellow pages”, I’m not sure I can find one outside a bookstore. It’s true…few people seem to have them at home anymore; I’m not even sure if school children need one for classes. Although the new bookstores still carry them, the used bookstores and thrift shops probably don’t even take them anymore – they’d be saturated with them! I do use printed dictionaries, and love them as much as ever. What I do appreciate, in terms of online resources, is the Online Etymology Dictionary. I use it far more than a regular dictionary, and hate to confess how much time can pass when I decide a visit’s in order. Oh my…you’ve opened up a huge door for me…I was not aware of the existence of the Online Etymology Dictionary. I completely understand how you can spend hours on the site; I can see myself doing the same. It’s fantastic! I sure do use a print dictionary. Two, to be precise. My favorite is the Oxford American Dictionary, but I also use Merriam-Webster’s, too. Wouldn’t be without them. I am pleased to hear that some writers and readers are still using print dictionaries! Do you buy updated versions every few years or so? I’m surprised how fun the result is. I have many OuLiPo publications, but have seen few good examples of N+7. I write code that gives me text I then edit into books, so seeing as I’m planning a dictionary / thesaurus layer of code for building narratives from ground up, I should clearly consider an N+7 option. How fascinating! I’m pleased that you commented on this post, thank you. What is it that pleases you about my comment? It’s great to receive a comment from someone who is interested in this subject, has detailed insight into aspects of it, and ideas for further use.